Where are the epic women's coming of age screen stories? Where are the epic women’s coming of age screen stories? Suzie Gibson does not work for, consult, own shares in or receive funding from any company or organization that would benefit from this article, and has disclosed no relevant affiliations beyond their academic appointment. There are some astonishing male coming of age films. For instance, Richard Linklater’s acclaimed Boyhood depicts the subtle moments and emotional experiences of one Mason Evan Jr, played by Ellar Coltrane. Exceptional in concept, execution and exploration of events such as divorce, blended families, young love and painful separations, it offers a boy-turns-to-man perspective. Barry Jenkins’s Oscar-winning Moonlight, meanwhile, also chronicles the life of a young boy called Chiron, played as a child by Alex Hibbert. Unlike Mason’s relatively charmed upbringing, Chiron deals with an abusive mother as well as other harrowing experiences involving racism, drug abuse, bullying and sexuality. This is a brave and valuable piece of cinema. But, once again, the emotional core of the narrative is male. Another revered and influential male coming of age film is Nicholas Ray’s Rebel Without a Cause. 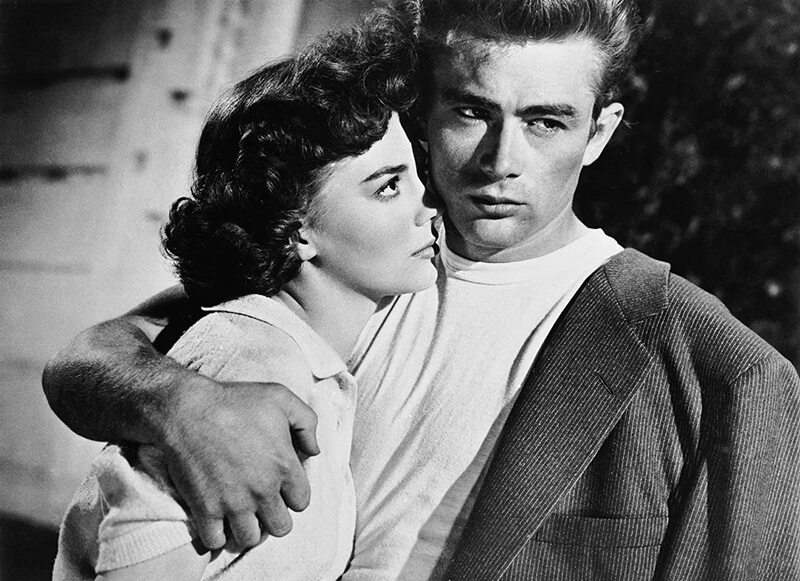 James Dean’s groundbreaking performance as a troubled youth in this film defined teenage angst in the post-war period. It’s hard to think of a female equivalent to Dean’s character. Indeed, while there have been some excellent films that trace a young woman’s path from childhood to adulthood (such as Rosemary Myer’s Girl Asleep and Kelly Fremon Craig’s The Edge of Seventeen) none are as highly prized as male coming of age stories. Women’s films also have a tendency to undercut serious issues impacting upon a young person’s development. 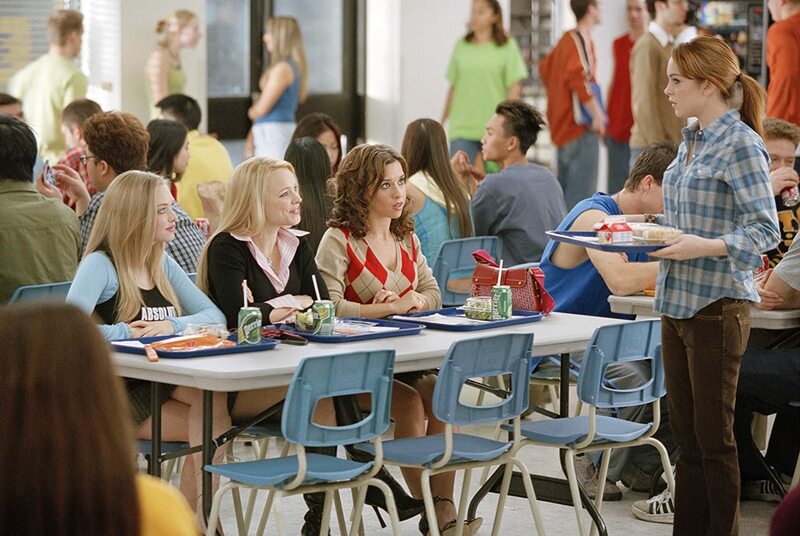 In Heathers and Mean Girls bitchiness operates as source of humour in undermining the psychological harm of bullying. By contrast the highly respected Stand by Me treats this issue, and others (such as childhood death) with an appropriate solemnity, giving this male coming of age drama “gravitas”. Men’s lives overwhelmingly dominate our screens and this in part can be attributed to an historical marginalisation of female directors. In the US, efforts to investigate discriminatory practices against female directors found that only 9% of the top 250 grossing films of 2015 featured women filmmakers. I hope when we include female storytellers, they will be more like the women I know in my day-to-day life. They are proactive, have their own point of view and don’t just react to men around them. It is difficult to name a single film primarily about a woman (or women) that has won Best Picture over the Academy Award’s 89 year history. The fact that 76% of the Oscar voting is done by men does not help matters. While Kathryn Bigelow remains the only woman to win Best Director or direct a Best Picture winner (The Hurt Locker), her film once more dramatises the lives of men. Although the female-directed Wonder Woman has come to be a box office hit it is nonetheless a small advancement in an industry where women have little control over the development, production and realisation of cinematic storytelling. Even beyond the Anglo-American axis of mainstream film making where there are accomplished female directors producing extraordinary features about women’s lives, epic narratives chronicling a young woman’s passage from childhood to adulthood are uncommon. And while there is a rich literary history of women’s coming of age novels, relatively few have been successfully adapted to screen – other than Little Women and the critically acclaimed French-Iranian Persepolis (2007). Interestingly a brilliant example of the coming of age film was produced in Australia - some three decades ago. John Duigan’s 1987 film The Year My Voice Broke is an unconventional coming of age story in giving equal weight to the lives of a boy and a girl growing up in rural New South Wales. Based on Duigan’s own childhood, Danny is the ostensible protagonist, played by Noah Taylor. However, the film also provides an extremely sensitive portrayal of Danny’s best friend Freya (Loene Carmen). She is arguably one of Australian cinema’s most finely developed female characters, evoking the subtle shades of a burgeoning womanliness. Cinematic storytelling not only invents characters and their experiences, it influences how we think and what we believe. It is heartening to know that Screen Australia’s $5 million program Gender Matters fosters women’s participation in the film industry. Productions currently in development include a miniseries on Germaine Greer, a feature on the life of jockey Michelle Payne and a comedy drama based on three young Lebanese women living in Sydney’s western suburbs. Screen Australia’s initiative plans to help address the issue of gender imbalance over three years. Acclaimed American actress Geena Davis’s Institute on Gender in Media is also committed to putting women’s lives and experiences on the big screen by advocating for their equal representation. But there is much work to be done in closing cinema’s gender gap. In the meantime, we await an epic feature devoted to the life of a woman that is tantamount in scale and ambition to the likes of Boyhood.